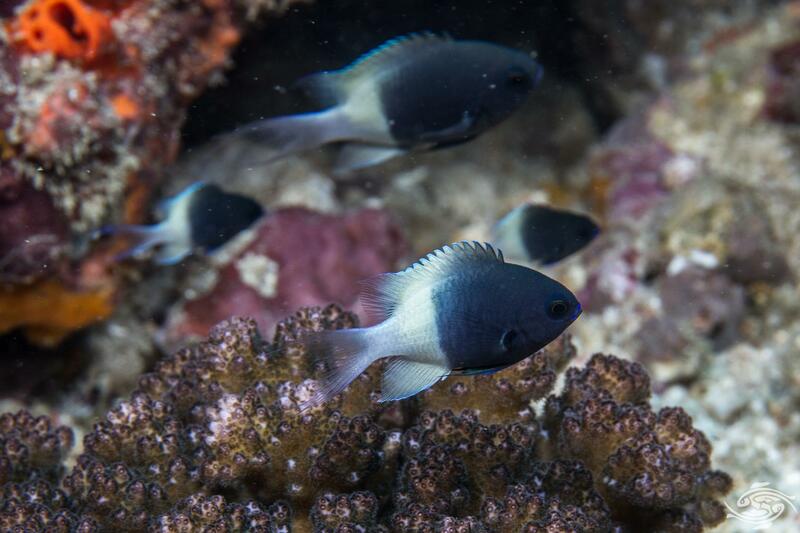 The Chocolate Dip Damselfish, Chromis fieldi is also known as the Chocolate Dip Chromis, Two-tone Chromis and Two-tone Damselfish. 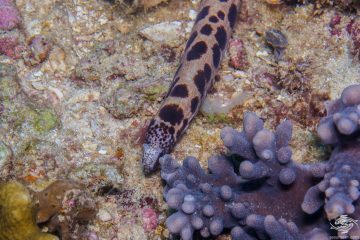 They obtain their common name from the fact that the anterior is a chocolate brown color and the posterior is a white color. Hence giving the impression that they have been dipped into chocolate. 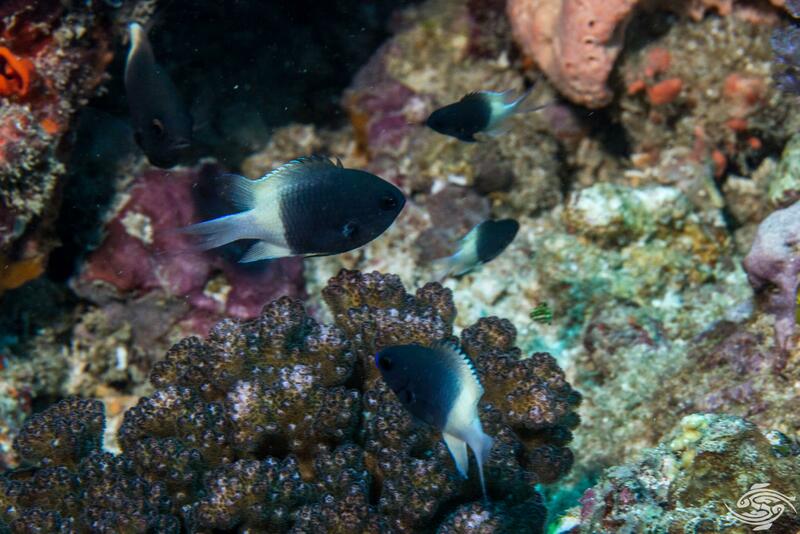 They are very similar to Chromis dimidiate which is endemic to the Red Sea and were only confirmed as a separate species in 2013. The body has an oval shape with a slightly pointed nose and a forked tail. The front half of the body is a brown to black color. The rear of the body is white and there is a black dot at the base of the pelvic fins. The dorsal fin is black in the front and white in the rear. The dorsal fin is edged with blue and the lower lip has a blue line on it in some specimens. This could be a sexual differentiation. 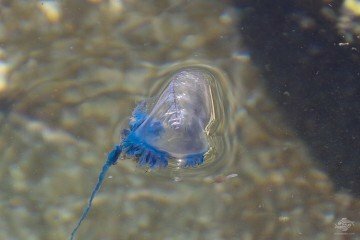 They grow up to 7cm in length. 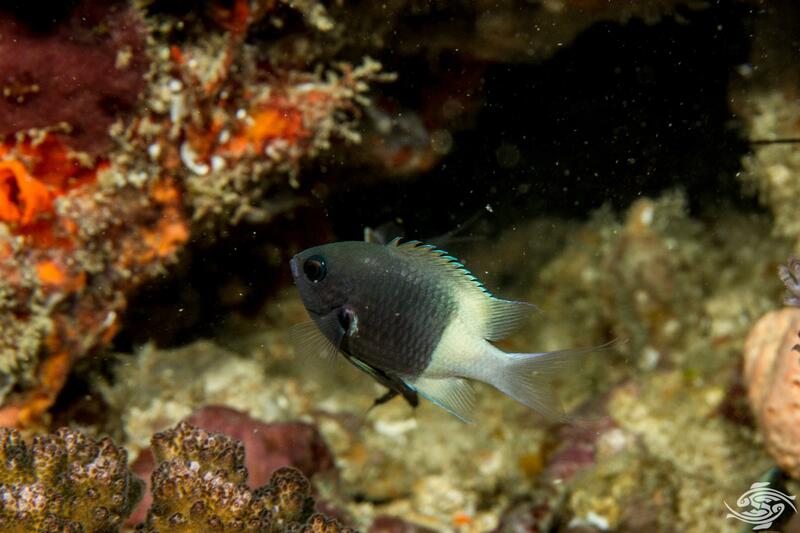 The Chocolate Dip Damselfish are almost always seen in small to large shoals swimming a meter or so above the reef. At the slightest hint of danger the entire shoal disappears simultaneously into hiding. They usually all emerge at the same time. 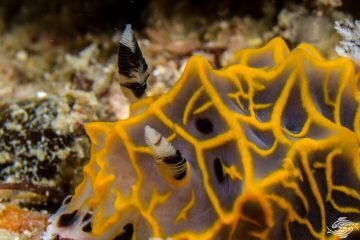 They are common on the sheltered reefs in Tanzania. 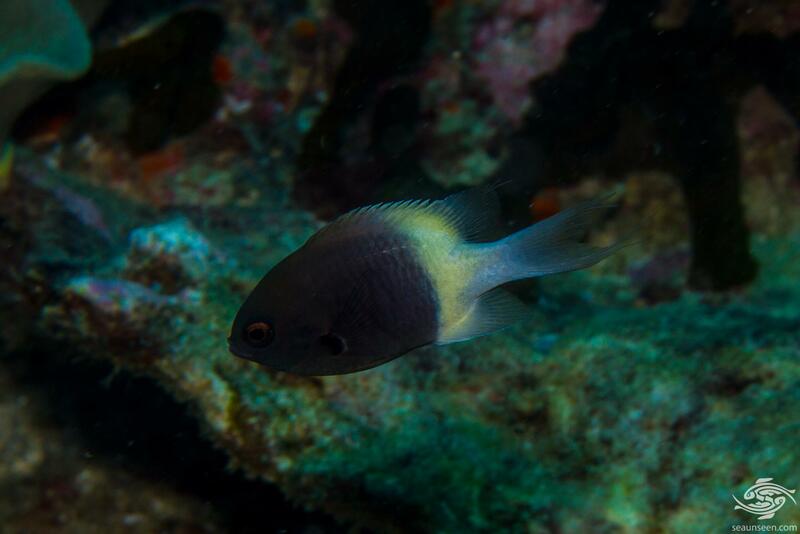 The Chocolate Dip Damselfish is found across the Indian Ocean, south to central Kwa-Zulu Natal. 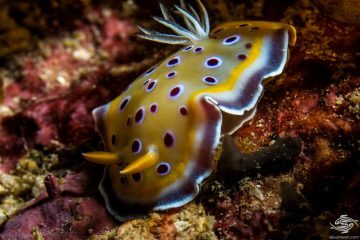 In Tanzanian waters they are usually found between 3 and 20 meters. 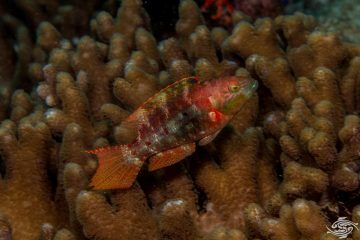 They are normally found only on protected reefs in Tanzania and do not favor turbulent areas. 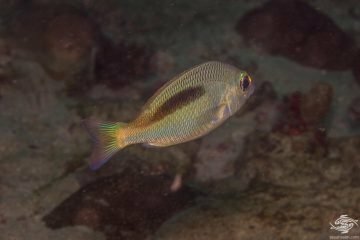 The Chocolate Dip Damselfish feed on zooplankton and small benthic invertebrates. 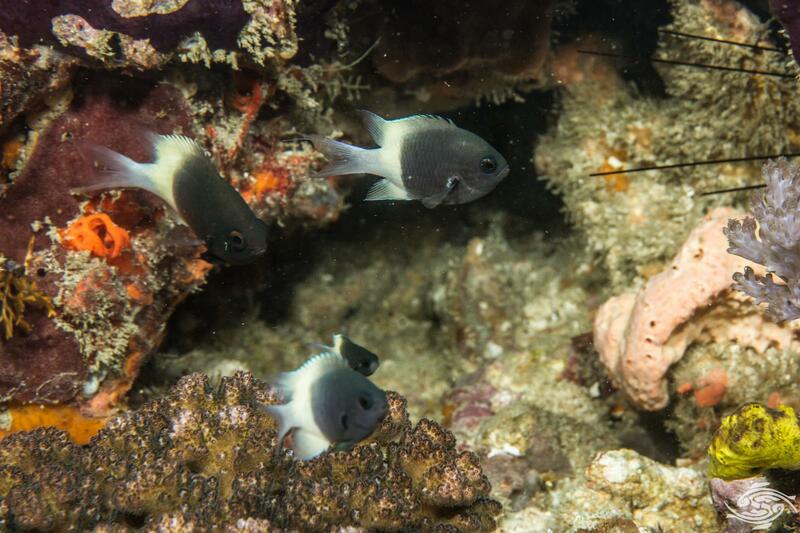 Pairing before mating has been noted and the eggs are demersal and adhere to the substrate. 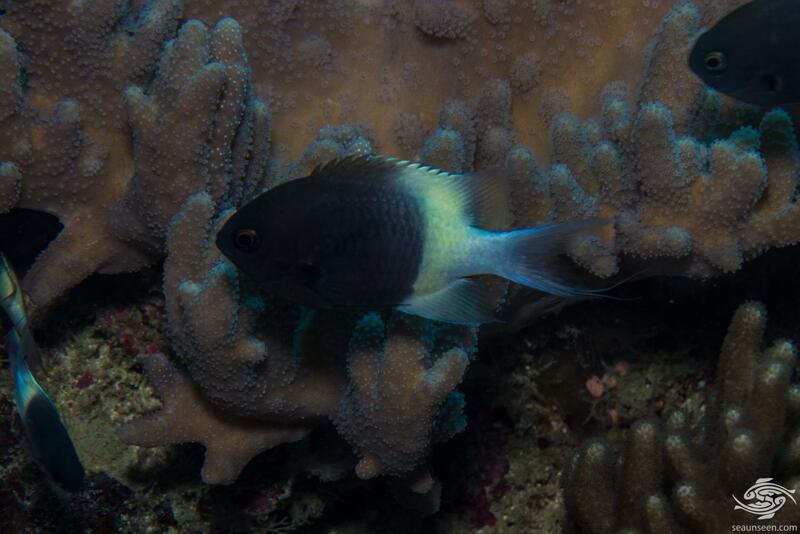 The mating process is thought to be similar to other Chromis species. Males usually clean an area of the substrate and once a female is attracted she lays her eggs on the cleaned surface. These are then fertilized by the male who guards and aerates the eggs until they hatch. 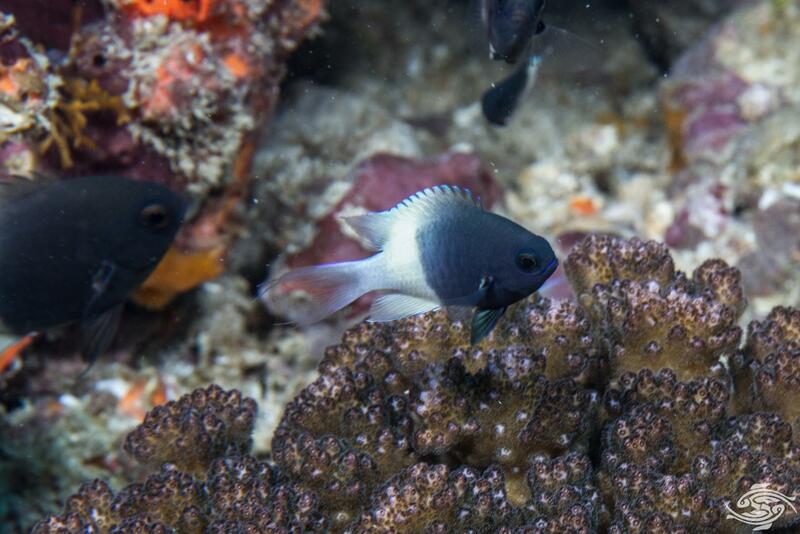 Chocolate Dip Damselfish are not commonly found in the aquarium trade. They would however be ideal for beginners as they are hardy and easy to feed. Because of their social nature they would need to be kept in a small shoal of five to seven fish for them to be happy.